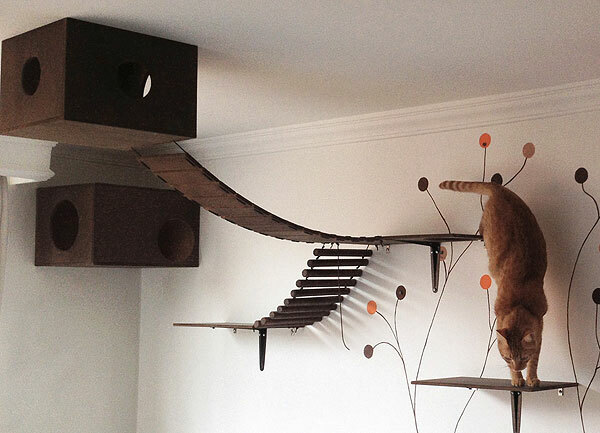 How do you create a stylish home that's built around your cat's needs? 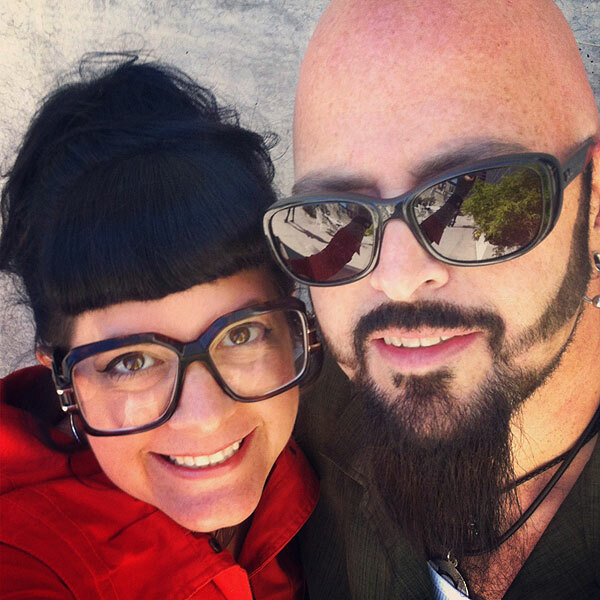 I interview Kate Benjamin, who wrote "Catification" with Jackson Galaxy. “Interior design” and “cat furniture” often inhabit different planets, conceptually speaking. If one didn’t know better, one might believe the best piece of cat furniture, aesthetically speaking, is the least-ugly item at Walmart, one whose color, materials, and form detract from a room’s surroundings the least. But we live in the DIY-crazed 2010s, and one can know better — and do better — than taupe carpet monstrosities and garish plastic nightmares. Benjamin’s design knowledge (see: Hauspanther) is mixed with Galaxy’s behavior expertise to tell readers what is good for cats and also looks good to humans. 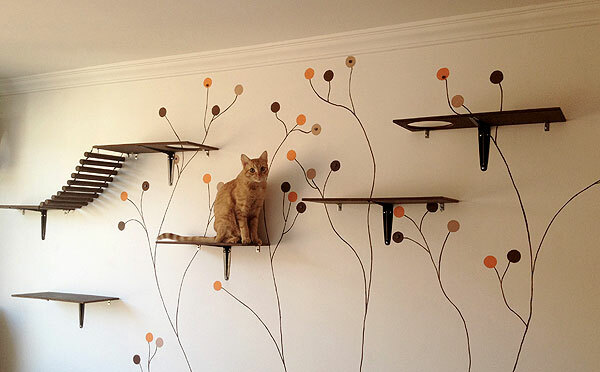 A design expert reading Catification, for example, will learn what makes a cat happy in a given space, while a cat behaviorist will learn how to build perches, trees, and catios to improve and enhance that happiness. Being neither an interior designer nor a cat behaviorist, I found the book remarkably informative and also accessible. It asks you gauge the behavior and preferences of your own cats to better know their needs, and it also give case studies that demonstrate challenges and their ultimate solutions. Plus, it has a lot of really cool pictures of projects people did themselves for their cats. In November, Catification reached No. 1 in the Animals category on the New York Times best-seller list. Being a cat-loving man who’s also conscious of aesthetics and style, I knew that an interview with Benjamin (who is also a regular Catster contributor) would be a great fit for Cat Dandy. 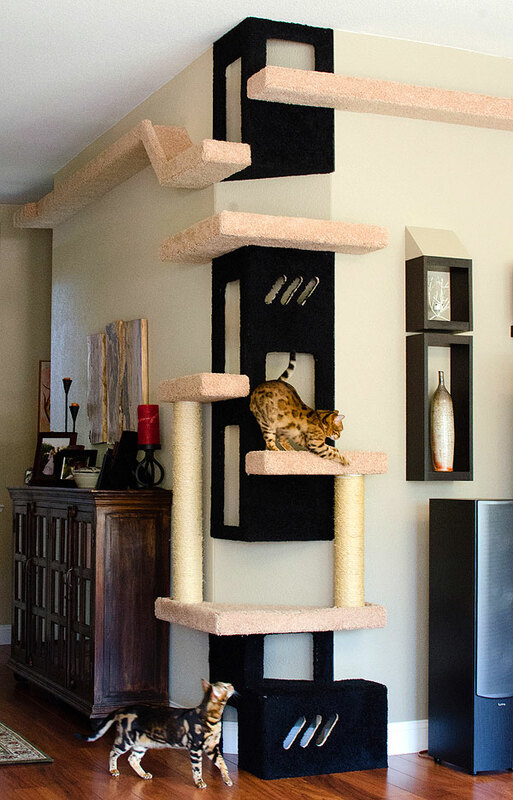 Cat Dandy: Catification starkly demonstrates that if you have cats, your home needn’t resemble a collection of every cheap, garish cat tower, window perch and day-glo toy you’ve ever seen at the likes of Petco. Is there more to it, though, than the human angle? Does it help cats, too? 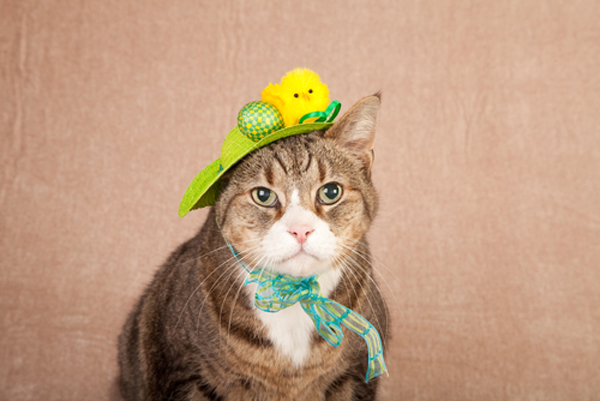 Kate Benjamin: We catify primarily for our cats, but the people have to be happy, too. That’s exactly the reason Jackson and I partnered on this project. Together we are the Catification Team -ÔÇô Jackson knows what cats need and I know how to make the people happy. Both sides are critical. When we go into someone’s home and add all kinds of Catification elements, even if the cats love it, if the people hate it they will just tear it out as soon as we leave. 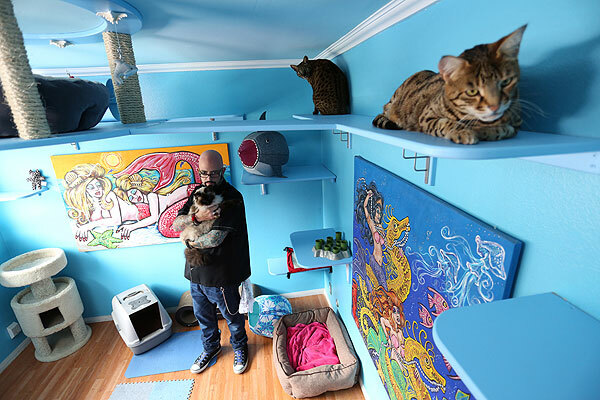 Catification aims to show cat guardians that they can accommodate their cats’ needs in a way that makes them happy, too. A first-time cat owner who has lived with other pets — such as dogs — might believe he or she understands pets (and cats) enough to accommodate their indoor needs. How does Catification address this? The first part of the book goes into detail about the natural instincts of cats and how we need to design with these instincts in mind. Jackson uses the term “the raw cat” to talk about how cats naturally behave in the wild. 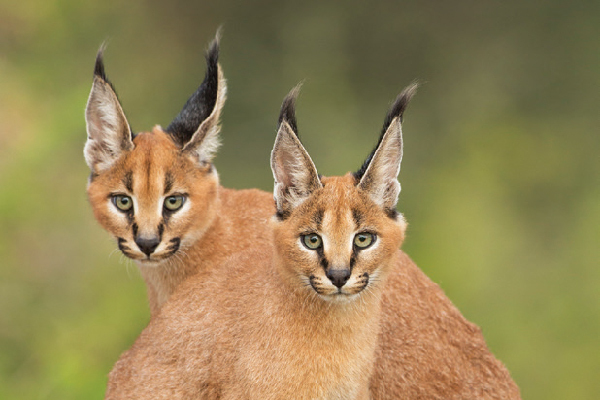 We describe how cats really are unique since they are closer to how they were in the wild than other pets. It’s important for pet owners getting a cat for the first time to understand these unique needs of indoor cats and how Catification can help enrich their lives. 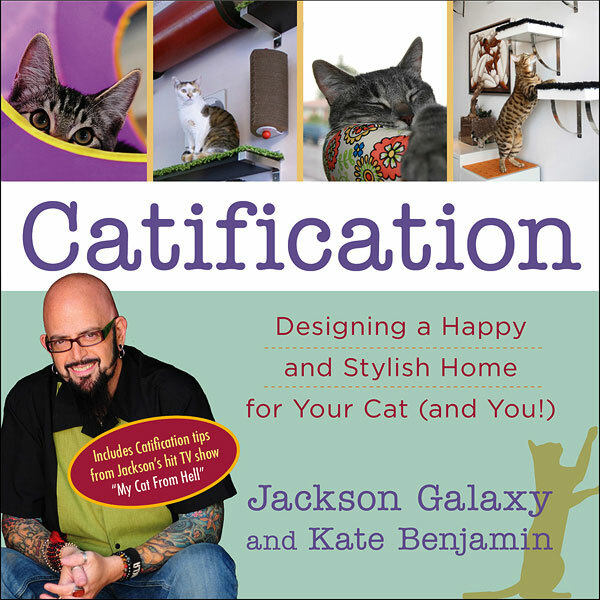 Catification encourages readers to think of themselves as interior designers and their cats as clients. How does this work? Any designer must get to know their client. It’s the same with Catification. We included some worksheets in the book to help people observe their own cats and take notes on the cats’ particular preferences. Armed with this information, cat guardians can then install different features that appeal specifically to their cats, increasing the likelihood that the cats will actually use the new features. It’s the same way with any design process — if the designer just does what he or she pleases with no regard for what the client wants, there’s a good chance that the client will be unhappy. What was your motivation for writing Catification? 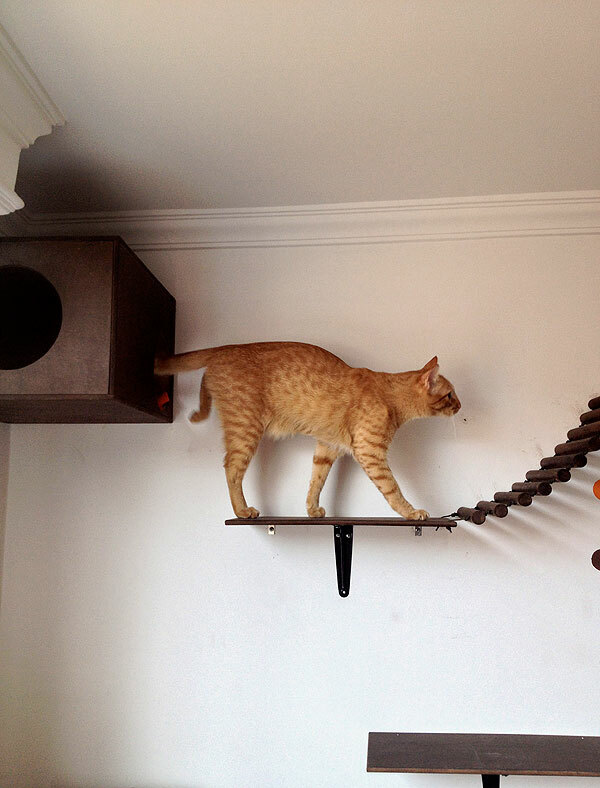 Animal behaviorists have written many books over the years that address environmental enrichment for cats, but none of them showed examples of what’s possible. We wanted this book to be inspirational, to show cat guardians the possibilities and get them excited about catifying. What is “cat mojo,” and what can it tell you about a cat’s feelings toward his or her environment and what you might need to correct or augment? Cat mojo is the key to good catification. When a cat is expressing her mojo, she’s comfortable and confident in her environment. She’s not feeling threatened in any way, and she securely owns her territory. We want cat guardians to spend time observing their cats so they can better understand where in their home their cats are most confident. 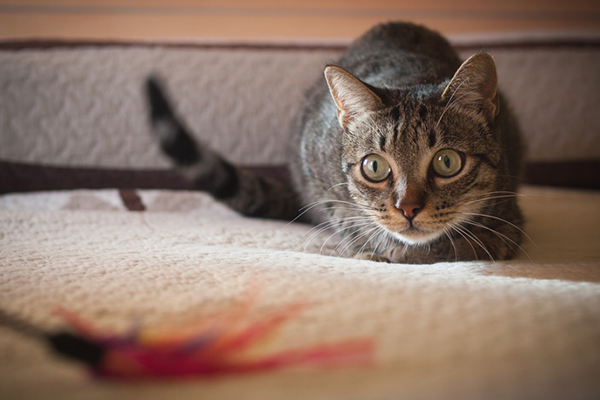 You can tell if a cat is confident or unconfident through body language and other behaviors, sometimes unwanted behaviors like spraying or going outside the litter box. Catification is about guiding cats away from places where they are unconfident and insecure and giving them other options that bring out their mojo. I’m sure that some people who’ve lived with cats for a long time might believe they can learn nothing from Catification. What would you say to them? We want to help even the most experienced cat guardians look at their homes in a new light ÔÇô- with their cat glasses on! Ideally, all cat guardians, old and new alike, will find some nugget of inspiration or insight that will motivate them to try something different for their cat. 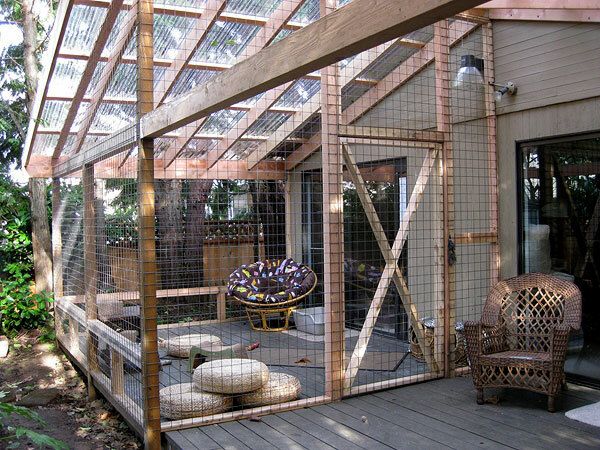 Catification includes examples of projects from your own homes and offices but also from followers. Tell me more about what was submitted and why you included it. Jackson and I received submissions from readers all over the world, showing that there are some very creative things happening in what we call “Catification Nation.” For this book, we looked for a variety of examples that show the commitment people have made to their cats and how they came up with creative, and attractive, projects. Some things in the book are absolutely stunning — there’s the network of vertical structures created by the two people in Colombia made up of dark wood boxes on the ceiling and multiple shelves on the wall, some connected by tiny, cat-size, rope-and-wood walking bridges. Were you surprised by some of what you got? It was wonderful to see such elaborate designs that people had created for their cats. 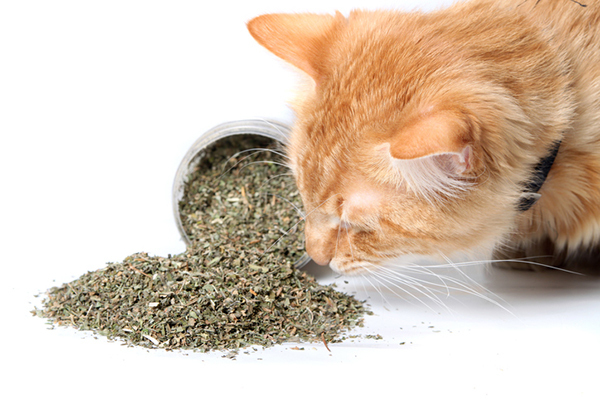 It definitely shows that there’s a growing awareness of the need for environmental enrichment in order to provide indoor cats with what they require to thrive. And to see so many examples that are not just functional but also beautiful signifies that cats are being celebrated as an integral part of our families. 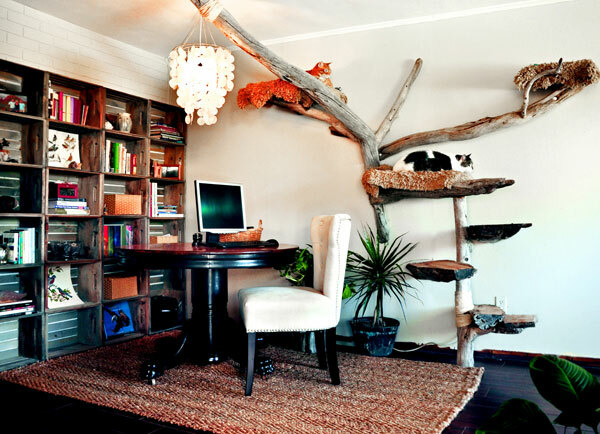 Some people recycled or reused things that I’d never have considered — such as the folks who built a cat tree using discarded desk drawers. Did such things surprise you? This is catification creativity at its finest! We wanted to show that you don’t have to go out and spend a fortune on an expensive cat tree, but rather simply use your imagination and experiment with whatever you have on hand. 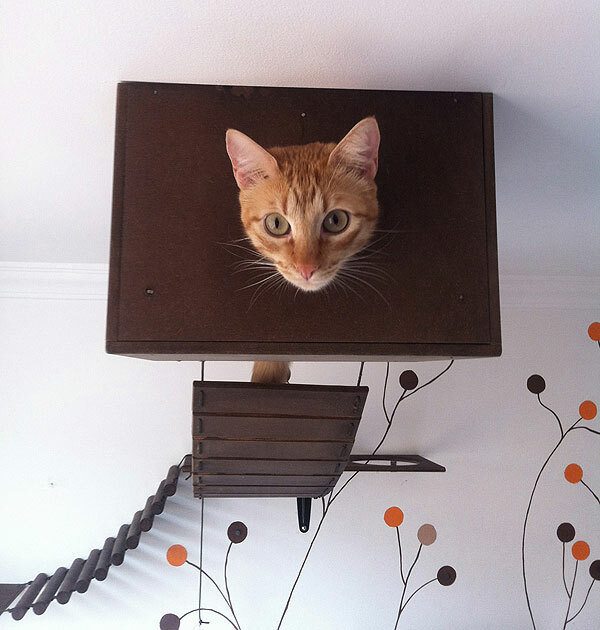 We call this a “catification hack,” when you take something that wasn’t originally made for use by a cat and turn it into an amazing and unique piece of feline design that makes everyone happy. 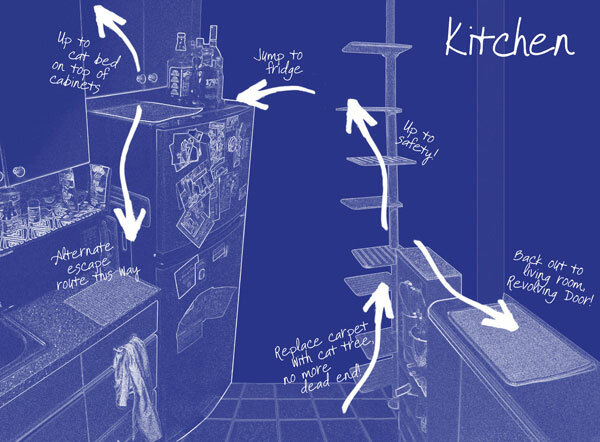 The dresser drawer example demonstrates this perfectly. Some people maintain that they’re no good at building things and can’t so much as drive a nail. I grew up in a fiercely DIY family, and still sometimes I’m a bit intimidated by certain projects. What would you say to folks who doubt their ability to catify their homes? We tried to include a range of projects that appeal to everyone, from the most experienced DIYers to people who can’t draw a straight line. We don’t want anyone to be intimidated by Catification. It doesn’t have to be complex and expensive, even simple things like rearranging the furniture can make a huge difference. However, we did include some projects submitted by people who obviously have advanced woodworking skills, in the hopes that these projects would demonstrate the possibilities of Catification. One thing that gives me pause is the idea of investing time, effort, and money in building something my cat won’t use or even notice. Does Catification address this possibility or guard against it? If people take the time to observe and get to know their cats, they will have a much better shot at creating something the cats will actually use. Once you build or create something that you think your cat will like, then you need to continue observing the cat’s reactions and make modifications as needed. Catification is a fluid process, and cat guardians need to be willing to make changes and try new things in response to how their cats behave. Also, the household may change over time -ÔÇô other pets and children come and go; cats age -ÔÇô and the environment needs to be modified in order to accommodate these changes. If Cats Own the Internet, Why Don’t They Get Spam?